Several mechanisms have been implicated in the development of hyperlipidemia. These include reduced activity of receptors for low density lipoproteins (LDL), deficiencies in lipoprotein lipase (LPL), abnormalities in the primary structures of apolipoproteins C-II, E, and B-100, and overproduction of lipoproteins containing apolipoprotein B-100 (apo B) . All of these except the last are well documented. On the other hand, many researchers believe that overproduction of apo B-containing lipoproteins is one of the more common causes of hyperlipidemia. 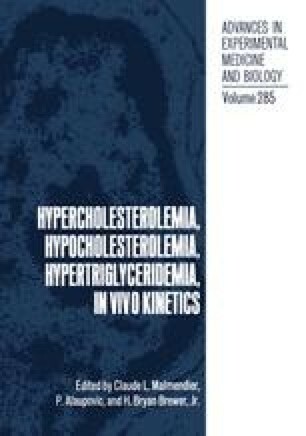 Therefore, it is worthwhile to consider the evidence for the existence of lipoprotein overproduction as a cause for hyperlipidemia. The present paper will examine the available data related to this question.